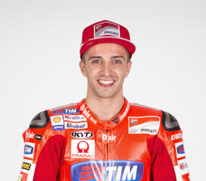 Home News June 15, 2015: Fourth position for Iannone, eleventh for Miller. Unfortunately Dovizioso and Crutchlow were out of the game. Fourth position for Iannone, eleventh for Miller. 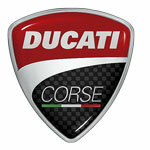 Unfortunately Dovizioso and Crutchlow were out of the game. Hard terrain and a little bit of misfortune during the last MotoGP stage at the Catalunya race, close to Barcelona. Both Andrea Dovizioso and Cal Crutchlow fell down and have been forced to leave the competition. Anyway Andrea Iannone kept up with a good rhythm and achieved the fourth place. Andrea Iannone finished the Grand Prix of Catalunya, round 7 of the MotoGP World Championship held at the Montmelò circuit on the outskirts of Barcelona, in fourth place. The rider from Vasto, who started from row 4 in twelfth place, ran a good race and was able to move up the field into fourth, despite difficult track conditions. From lap 5 onwards, Iannone started to chase down Bradley Smith, whom he passed on lap 21, and he then pulled out almost a three second advantage over the British rider by the end of the race. Thanks to today’s result, the Ducati Team man has now moved into third overall in the championship standings with 94 points. 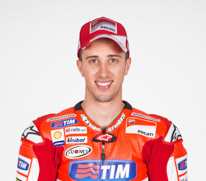 Team-mate Andrea Dovizioso’s race on the other hand was not so positive. After starting from row 2 in fifth, the Romagna-born rider got a good start to finish the first two laps of the race in third place, and he then moved up into second after Marquez crashed out. Andrea lost a place to Rossi on lap 3 and then crashed out on lap 6, due to a loss of grip in his rear tyre. Dovizioso now lies fourth in the overall standings with 83 points, while Ducati and the Ducati Team are currently second in the classifications reserved for Manufacturers and Teams. It was a disappointing end to the Grand Prix of Catalunya for Cal Crutchlow, as the British rider was clipped by a fellow MotoGP rider on the first lap of the race, which sent him skittling into the gravel. The CWM LCR Honda rider bravely remounted, only to find that his rear brake line had been severed, and he was forced to retire to the pits. 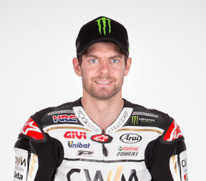 Hopes had been high that Crutchlow would be able to make up positions during the race, and a possible podium was on the cards with several other retirees, but the Briton will now have to do it all over again at the Dutch TT in Assen in just over a week’s time. 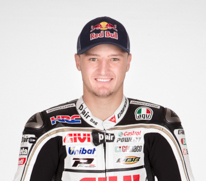 Jack Miller secured the best result of his MotoGP career so far, as he took 11th place in the Grand Prix of Catalunya to bring home five points for his CWM LCR Honda Team. The Australian rookie had got a decent start from 21st position on the grid, riding with some experienced runners. At one point he made it as high as tenth place, but as former world champion Bautista sneaked through just a couple of laps from the end, he was forced to settle for one place behind. With testing to come tomorrow, Miller can use this positive result to full effect before heading to the Dutch TT in Assen, in just over a week’s time.